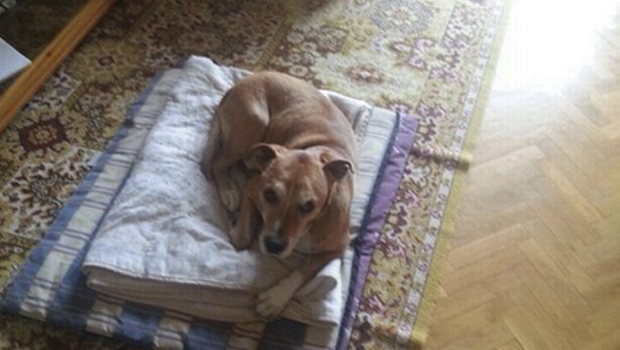 Spain Ebola survivor: Why did they kill my dog? MADRID -- The husband of the Spanish nursing assistant who beat Ebola says his wife now knows that authorities killed their dog Excalibur while she was in the hospital and is questioning that decision. In an interview published Thursday by the Spanish newspaper El Pais, Javier Limon says he finally told Teresa Romero after she tested negative for Ebola this week that their mixed breed dog was euthanized two days after her Oct. 6 hospitalization. Limon said "she is asking herself why they killed the dog, who wasn't to blame for anything." Spanish officials had said the dog was a possible risk for transmitting the deadly virus. In the United States, the dog of a nurse infected with Ebola was quarantined and tested negative.